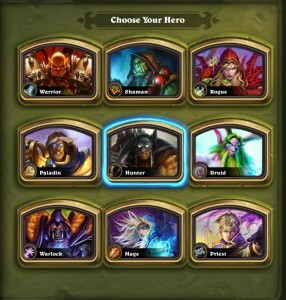 With the Standard format fast approaching, it will soon be time to re-evaluate some of the established truths and choices when it comes to selecting cards for Hearthstone decks. However, there are some cards that are already great when used properly, but that do not receive the appreciation they deserve – much to the delight of the few players who have realized their power. 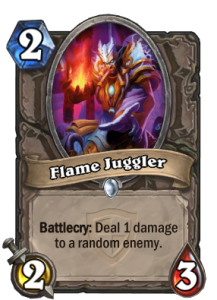 One such card is the Flame Juggler. The Curse Trials was not Standard format Hearthstone, but can we learn something anyway? An invitational tournament that was widely characterized as the first Hearthstone tournament to use the Standard format, Curse Trials, was played out over the past three days. 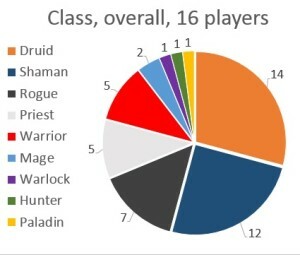 Now, the big caveat here is that Curse Trials had very little to do with Standard: it was the current card pool with Naxxramas and Goblins vs Gnomes banned. So, it was trying to emulate Standard by banning the cards that will rotate out of Standard with the next expansion while not incorporating the upcoming changes to cards that will stay nor, obviously, having access to the spring 2016 expansion that will be part of the first Standard rotation. Nonetheless, maybe we can learn something from the tournament. Let’s dig deeper into the lineups and their performance to see what we can find.